Start with a load that you can C& J 10 reps in one minute without undue strain. 1. For a first time attempt, our recommendation is 95lb. for men and 65lb. for women. 2. We are serious about the recommendation. 3. This is harder than it looks. 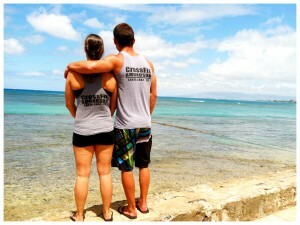 Jody Geare and David Millar rock the CrossFit Amundson brand in Hawaii. 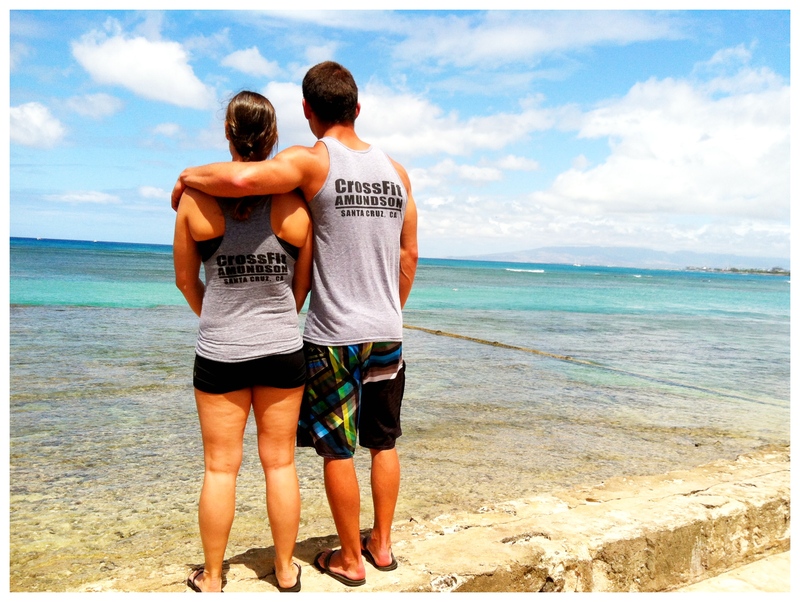 “Typically the worlds best athletes are minimalists when it comes to their training. Ouchie. This was a surprise sore one. Removed some skin from between my thumb and first finger on about round 3 so that was fun, and forced a hook grip for most of it.